Trakke is a brand with an ethos constructed around the concept that “Adventure is everywhere”, with the hopes of creating gear that is multi-purpose and can withstand the elements, time and trends. 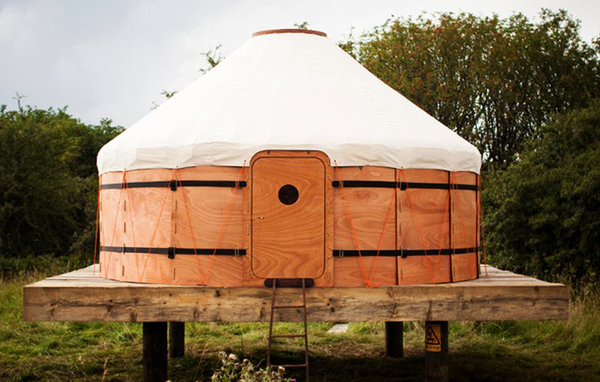 And now with the design and namesake of Uula Jero, the “Jero” is a yurt with convenience — or a home in the outdoors. Made from waterproof/rot-proof cotton canvas, plywood and steel, the constructed structure measures 4 meters in diameter and compresses to 1.2 x 0.8 x 0.5 meters. Other bragging points include removable door, tool-free assembly and flat-pack design. Hope you’re impressed, because it will cost you over $7,400.